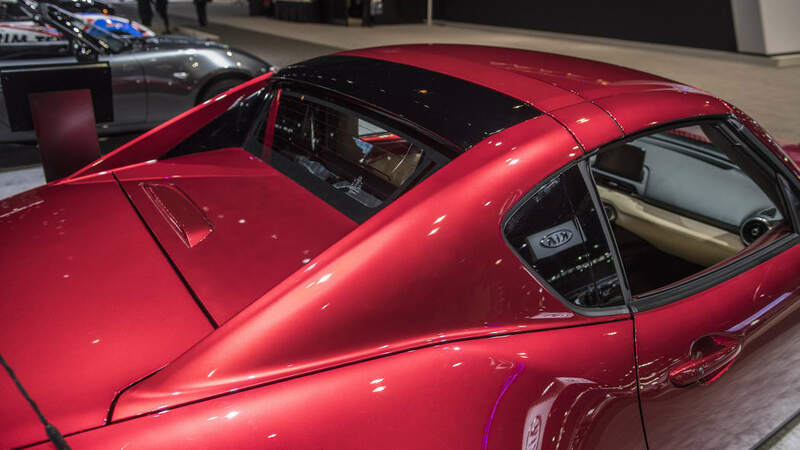 Trick-roof RF increases by $355. Here's how models and prices compare. 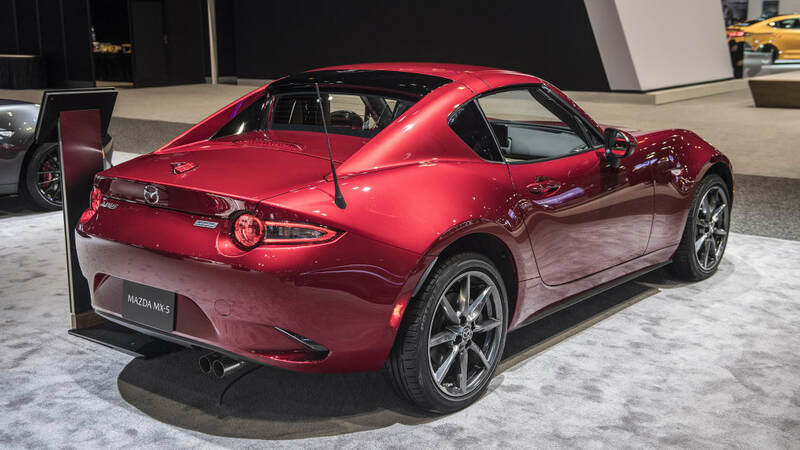 At Chicago, Mazda has announced official 2018 pricing for the MX-5 Miata, both soft-top and RF. 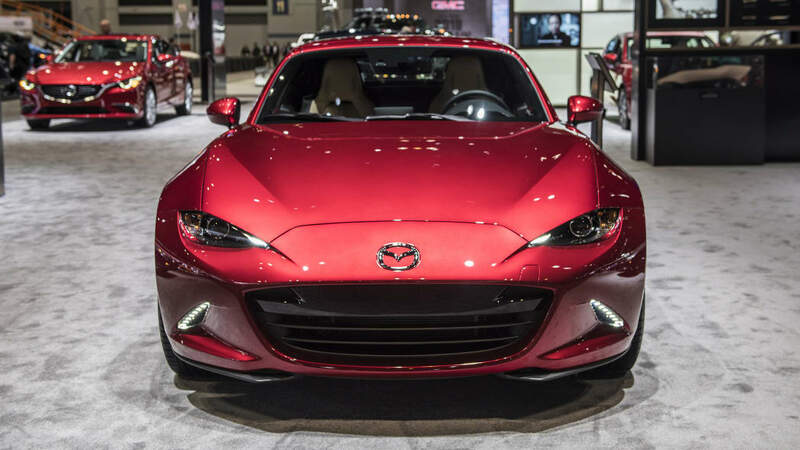 The trick-roofed RF version, or Retractable Fastback, has a coupe-like power hardtop that opens up into a targa. 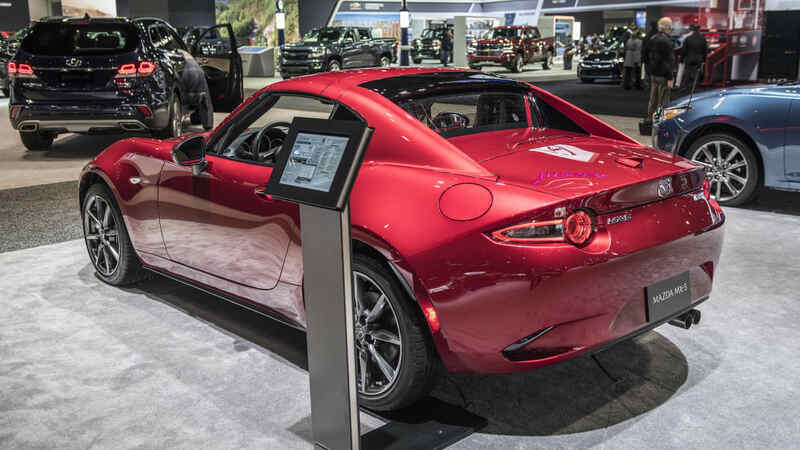 It's only natural that there are MX-5 models on display at the Chicago Auto Show, as 29 years earlier the original Miata was unveiled there. 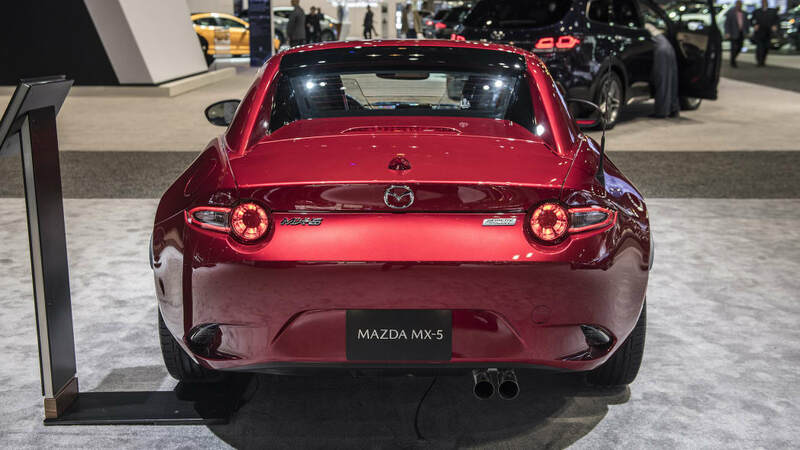 All ND generation cars sold in the U.S. have the 155-horsepower Skyactiv-G engine with a choice of six-speed manual or six-speed automatic. 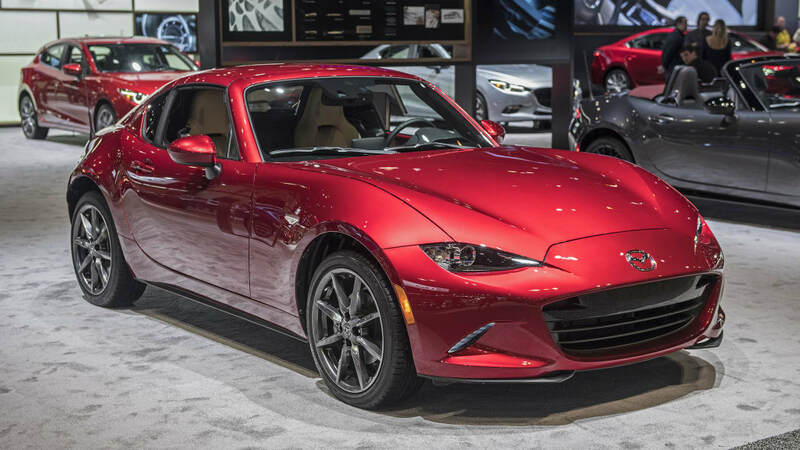 While the canvas-topped 2018 MX-5 starts from $25,295 as a manual Sport, the RF bypasses the Sport spec and starts directly from the Club, which for the RF means a $31,910 starting price, or $355 more than for 2017; the soft-top 2018 Club costs $29,555 in comparison, or a measly $120 hike. 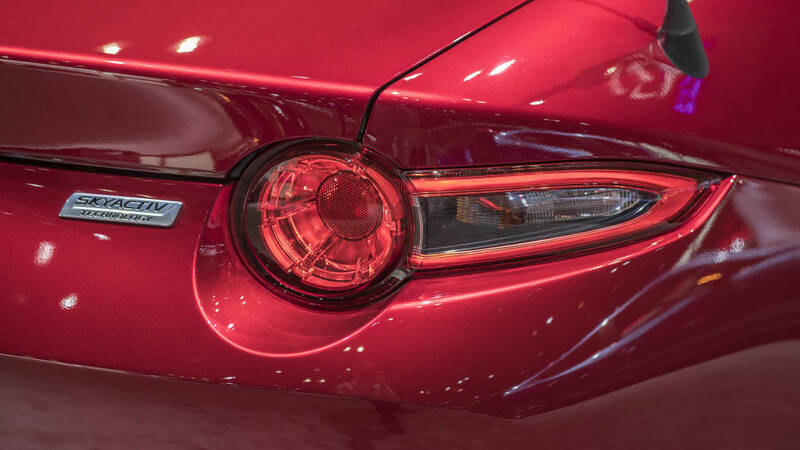 The manual Club has a limited slip differential, a front strut brace and Bilstein suspension. 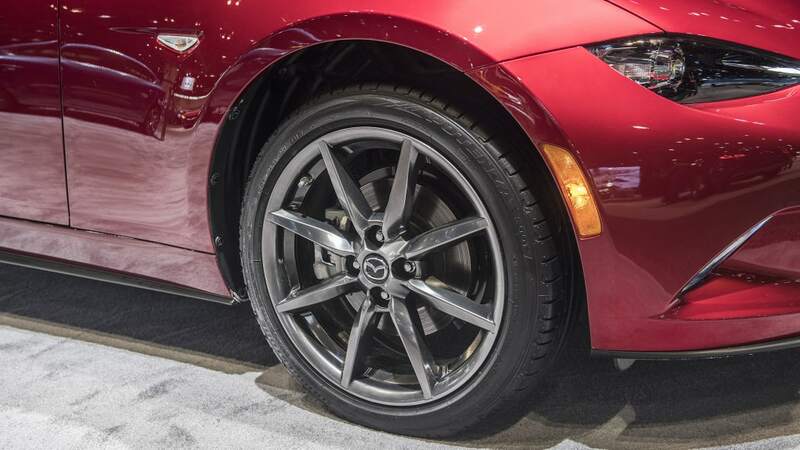 Similarly to the soft-top car, the RF also gets a Brembo/BBS brake/wheel/appearance package that hikes the price to $35,680 — and that is only available with manual transmission. 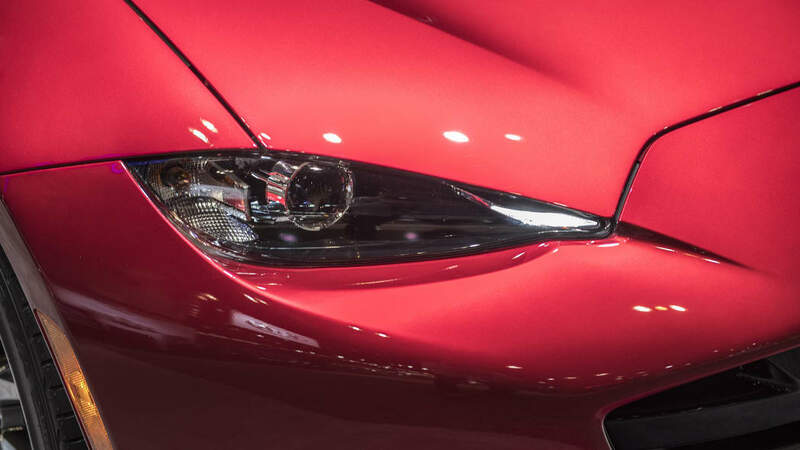 That package costs $32,925 for the soft-top, which has also a $700 Recaro sport seating option for the aforementioned Brembo/BBS package, but that is unavailable for the RF. 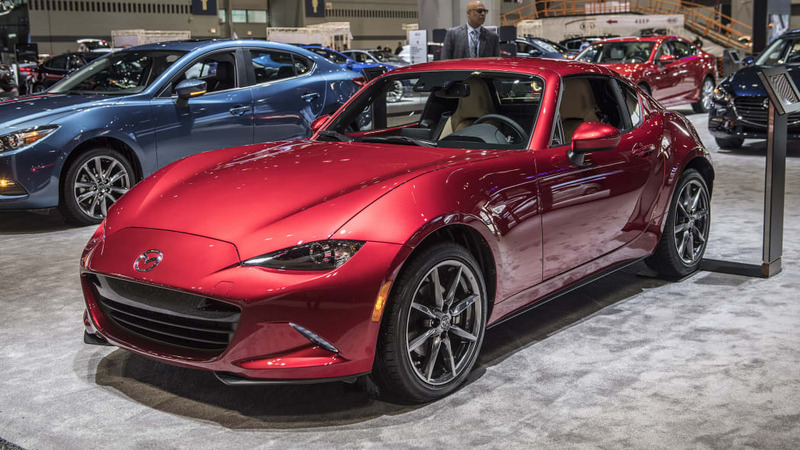 Grand Touring comes with automatic climate control, heated leather seats and adaptive lighting, at a price of $30,195 for the soft top and $32,750 for the RF. 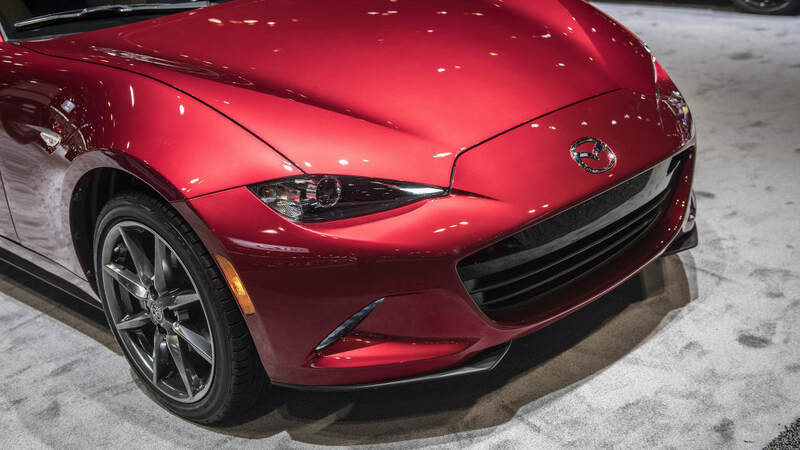 Add new-for-2018 Nappa leather for the Grand Touring for $300. 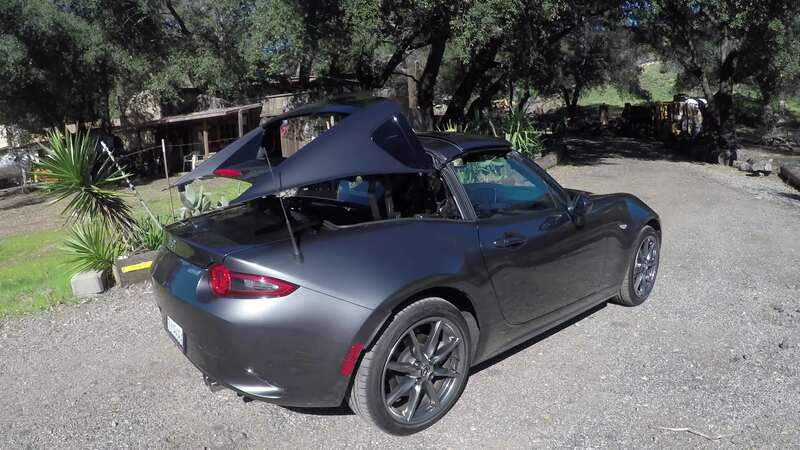 At launch in the 2017 model year, the RF Grand Touring was priced $3,000 dearer than a comparable soft-top version, but that difference has now shrunk by $500.